He might not watch the The Lion King twice a day anymore, but Morgan Rielly is still very much a dedicated movie buff. As a kid growing up in West Vancouver, he would spend countless hours honing his skills on the hockey rink. When he wasn’t perfecting his slap shot and backhander, Rielly indulged in another favourite pursuit, namely, getting comfortable on the couch and taking in his favourite flick. No, he hasn’t seen in it in ages. But, yes, he is still very much a movie guy. 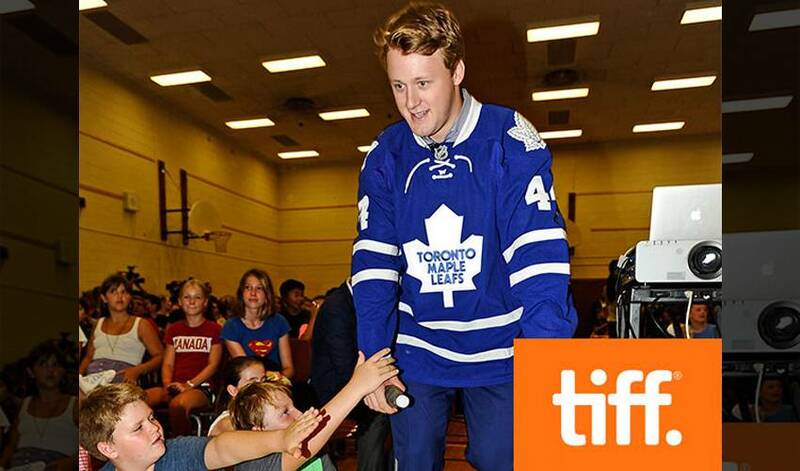 This Friday, Rielly and teammate Jake Gardiner will take part in a promotional event for VISA at the 2015 Toronto International Film Festival (TIFF), the leading public film festival in the world that takes over the city each September. As always, there will be plenty of star power on hand. Oscar winners Sandra Bullock, Matt Damon, Julianne Moore and Kate Winslet are expected to attend, along with other big-name celebrities such as Johnny Depp, Rachel McAdams, Ryan Reynolds, Kristen Stewart, Jake Gyllenhaal, Tom Hardy and Naomi Watts. Last year, during TIFF, Rielly, along with a few of his Maple Leafs teammates, watched the well-received Red Army movie – a documentary that chronicles the story of the Soviet Union's legendary Red Army hockey team through the perspective of Slava Fetisov. Rielly made sure to put on his Sunday best. One can only imagine what they’d say about his days of watching The Lion King. “You never know,” said Rielly.